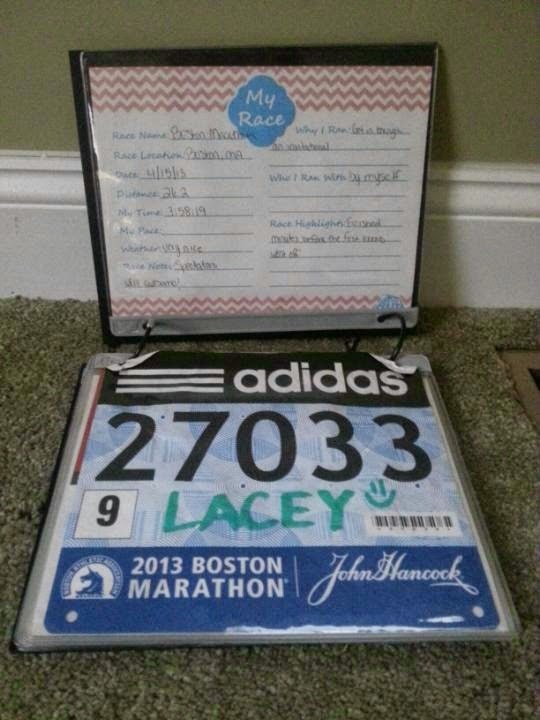 I am always curious to see how people display their bibs and other running memorabilia. We have shown in the past how we have both displayed our running medals and you can see them HERE and HERE ( We both have added a few medal displays since these photos where taken). However, we hadn't mentioned what we do with our bibs. At first, I hadn't saved my bibs with the intention of actually "saving" them to display them. I just kind of had them laying around. Once I started running bigger races I started saving them "on purpose". I knew I wanted to do something with them but I didn't know what. 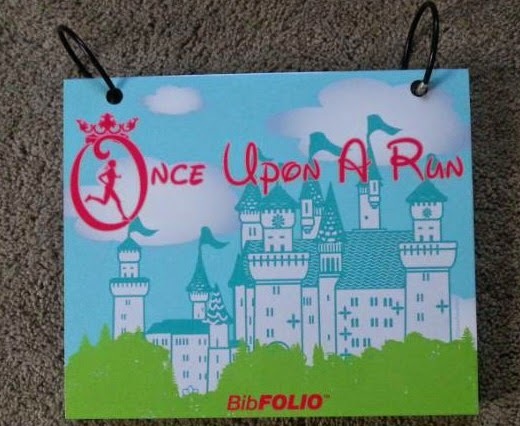 Earlier this year I won this BibFolio from Gone For A Run. This is a great way to keep all your bibs organized while keeping them from getting tattered and dog eared ( like they use to when I stored them else where). The BibFolio is kind of like a photo album. Inside it has sleeves to slide your bibs in. The BibFolio also come with a scrapbook like sheet that you can use to fill in all the information that you want to remember about your race. The BibFolio comes with 14 sleeves and 14 Information sheets. The rings come unattached so you can easily add more sleeves as you continue to run more races. I know I will be needing some more sleeves pretty soon! 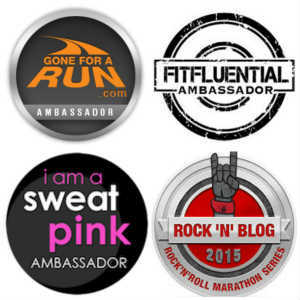 Do you save your race bibs? Have you read the story about the guy who completed the Disney Marathon and threw his bib in the trash as soon as he crossed the finish line? If not you can read that HERE. Don't forget about our holiday Giveaway going on HERE. That's a cool idea. I've always thrown away my bibs. Well, except for my marathon bib. I've got that baby around here somewhere. Really?? Even non marathon bibs are special. I try to save all mine. Yes it sure is. A great New Year's resolution. Currently I hang them up on a bib holder, but I love this idea!! Oh nice! I think I've seen these. Is it part of a medal hanger as well? This looks really cool! I haven't saved any of my bibs, I generally thrown them away once I get home. But not in anger at the finish line like the guy in the story! Haha yeah I don't know what his deal was. Maybe he was running in place of someone so it wasn't as special for him. All of our bibs are currently saved in a binder. I hope to have some time soon to put them in a scrapbook with race photos. That's a perfect way to preserve your bibs. I've been thinking about getting the Bibfolio for my bibs...I've saved them all! I might have to add this back on my wish list! It would be a great Christmas gift. I have a few that I've kept and put in a scrapbook, but most of them I just throw away. I just run too many races each year LOL. Throw away??? Oh no, you definitely need one of these. I have mine framed at work, in a big poster frame so they all fit. It was getting messy when each one had its own frame and I was trying to keep everything in line. That is a great idea. I'd love to see that. I have all of my bibs from bigger races (all my 1/2 marathons), some 5k ones along the way have gotten tossed. I do have a few from cross country races in high school kicking around somewhere. They're not organized, but they hang out in a file folder until I decide to do something with them at some point. Well this is a perfect way to organize all your race bibs. My race bibs are all in one place but they're kind of a mess - I love the idea of finding a way to showcase them! Yes, and it keeps thrm organized as well. I love that idea! Gone for Run has the best stuff :) I have saved all my bibs, but ditched a lot shirts :( Of course I saw your blanket idea too late. Gone for a Run really does have great items for runners. I have several things on their site for Christmas gifts. 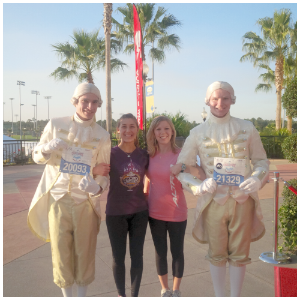 This does have inserts to write how the race went, but I love the idea of puttting a pic to go with your race bib. I plan to put mine in a scrapbook someday. In the meantime, they are in a file folder. Of course I plan to showcase my Boston Marathon bib next April and that will be hung with the medal! I have been wanting to get a shadowbox made for my Boston2BigSur Challenge. I need to look into Michels that you suggested to me before. I have saved all my race bibs, even the ones from my brief running career back in the late 90's. I have a plastic/vinyl envelope that I put them in, but I'd love to get something more organized like this. Thanks for sharing and for linking up with us today! That is so cute, like a photo album for race bibs. That's a great way to save bibs! I have a few posted up around the house and at work. I really just keep the ones with a nice design though! But this is a cute idea, especially for those who keep all of them. This way they could put 100's together! Wow, I can't believe he threw away his bib. The BibFolio is a great idea! Thats nice! I usually throwaway my bibs but kept my NYC one! I wish I kept my MCM one... but threw it out b/c it was all soaked with gatorade. I am going to try to get it replicated. I had mine made into bags via bibs2bags.com!